« How do you Learn? Humans are biased. We are biased to our own work and progress, when we complete our work we see something that we have dedicated our time, effort, and resources into. The last thing that people want to hear once they have completed a task is that their work could have been better. Depending on the person, this advice could be taken as motivation to improve or forgotten and the work continues to suffer. I believe that we have started to grow-up in a community were people would rather be given no feedback instead of negative comments or being told there is room to improve. People are afraid to disappoint others and “no feedback is good feedback right?” WRONG. People need to realize that there is always room to improve, but they need to be aware of where and how they need to improve. 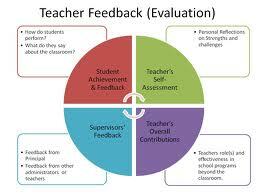 I believe it is a great idea to give teachers effective feedback on the lessons they are giving. Even though student teachers are always taught that steps to doing a lesson are before, during, after, and review. The review of how the lesson went is usually forgotten. During the school day, there are reading, science, math, and writing lessons that need to be completed. Then there are more lessons that need to be prepared for the next day. Teachers are grading homework, planning lessons, and watching over 30 student’s behaviors and grades. They are thankful that the lesson was completed and often are not given a chance to give themselves feedback on their lessons. HOWEVER, the feedback is necessary. Teachers need to realize that the feedback of one lesson does not need to be filed away and used the next year when the lesson is given again; but instead it can be used to improve lessons for the next day or in different subjects. A set back to when teachers give feedback to other teachers is it forces teachers out of their classrooms to observe other teachers. I know in my high school my teachers did peer coaching. They are paired up with about four teachers some in the same content area as they were and some that were not. They went and observed lessons that their peers gave and then presented the feedback to them. This seemed as though it would be effective, but when my teachers were observing other teachers the class usually watched a movie or had a free work period. As a student, I am not sure how effective the feedback was or how much time and effort the observing teachers put into helping their peers, but I am sure it varied. Teachers have an incredible workload and simply putting “satisfactory” is easier then writing tips on how to improve. Humans are selfish, some more than others. It seems to me that the idea is there, but it takes effort and time from outside people to help an individual. Also, I know when my teachers were being observed they would tell the students to make sure we were on our best behavior and then the teacher gave the best lesson that she/he has done all year. It is easy for a teacher to allow the students to watch movies all year and then present the best lesson they have all year simply because they are “on stage” while being observed. 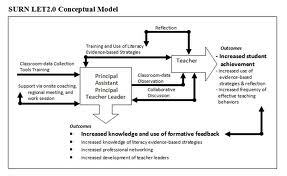 I believe that effective feedback is necessary for teachers and myself to improve. I do not believe that teachers should just be told that their fraction lesson was not good and they should now change to the lesson that was presented by the world’s best fraction teacher. That lesson may not work with their students. The teacher knows her students the best, and if she is given advice on what she should do she can then change it according to the needs of the students. The most important aspect is that the feedback is effective. Teachers have the best interests of the students. Or, at least we hope. I know that some professors at universities are researchers and they are not the best teachers. Allowing students to give feedback on those teachers will be beneficial because the students are in college and they know what a good educator is and how they teach. In the younger grade levels there needs to be other people giving the feedback. America should not do a feedback program just to improve Americas ranking in math and science, but to know what teachers are doing and how they should improve.